Cornwall wedding photographer Mark Shaw from Falmouth, telling your wedding day naturally through unposed, relaxed, storytelling wedding photography. 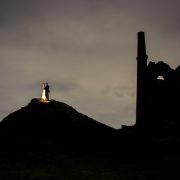 Mark Shaw is a wedding photographer in Cornwall, telling wedding day stories across Cornwall, Devon and Somerset. Mark's approach to wedding photography is to tell your wedding day story in the most natural, honest and artistic way possible - storytelling style, unposed and unobtrusive.